Earn $11.60 in VIP credit (1160 points)What's This? 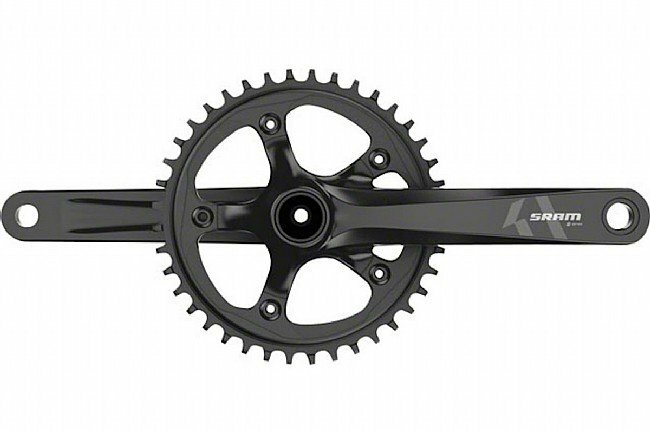 Simplicity meets control with the SRAM S350-1 1x™ crankset. Featuring the X-Sync™ chainrings for complete chain control, this durable crankset will keep the wheels spinning even over the roughest terrain. Each tooth on the X-Sync™ chainring is CNC-machined to exact thicknesses to ensure earlier engagement and better chain retention over all terrains. Available in 170, 172.5, and 175mm lengths. SRAM 1x™ simplicity and control. Durable forged aluminum with integrated spider.